Saint Matthias, a disciple of Jesus from the time of His Baptism by Saint John the Baptist, was chosen to take t he place of Judas in the ranks of the Apostles. Nothing is certain about his later life and death, but an ancient tradition has it that he was martyred in Ethiopia. O apostle Matthias! thou didst complete the sacred college, from which Judas had fallen; and by the power of the Holy Ghost, thou didst put to flight the darkness of idolatry by the admirable lightnings of thy wise words. Do thou now beseech the Lord that He grant peace and much mercy to our souls. He that is the true Vine sent thee, a fruitful branch, bearing the grapes that give out the wine of salvation. When they drank it that before were slaves to ignorance, they turned from the drunkenness of error. Being made, O glorious Matthias, the chariot of God’s word, thou didst break for ever the wheels of error, and the chariots of iniquity. By the divine power, thou didst defeat the idolaters, and destroy the pillars and the temples; but thou didst build up to the Trinity other temples, which echoed with these words: All ye people, praise Christ above all for ever! According to the placard next to this painting, this is Saint Thomas not Saint Matthias. Hello, I scanned the image from the book called “The Prayer Book” by the Catholic press, inc 1954. This painting was done by Rubens is listed as Matthias, and if you look at the image of Saint Thomas you will see the builders square in his right hand, which legend has it that Saint Thomas built a palace for King Guduphara in India. 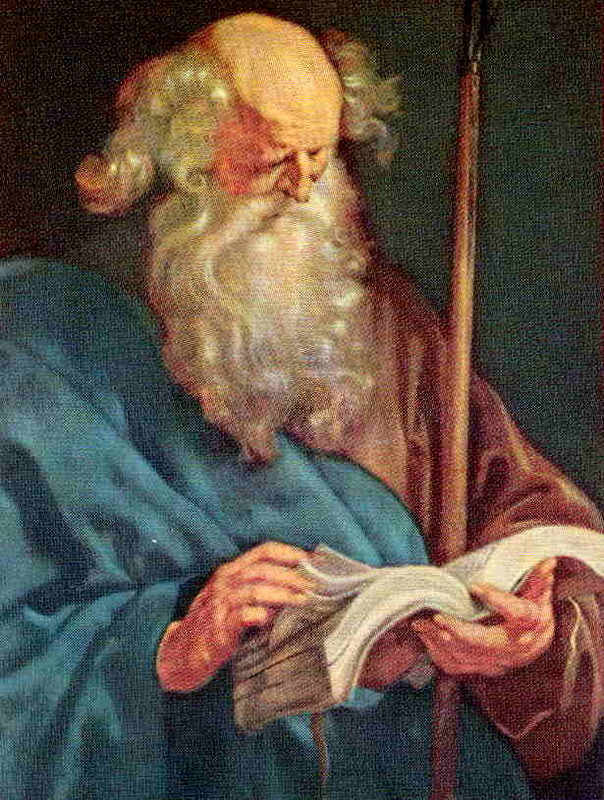 The lance that is in the painting of Saint Matthias was used when he was martyred in southern Asia.